Disaster preparedness? Easier than it sounds. Steve with his daughter Sophie — who’s going to be a first-time driver next year and already has an emergency kit. Personal experiences push forth the importance of being prepared. Take Twin Cities resident Steve Davis who experienced the 1996 snow storm that brought Philadelphia to a standstill. He laughingly recounts “perhaps I was the only one in Philly who had a shovel on that cold, freezing night.” Stuck in slush and not any help in the offing, Steve’s kit came to his rescue. Steve always carries an emergency kit in his car, a habit instilled in him since his late teens by his father. Perhaps Steve’s dad knew, like we do, that disaster can happen to anyone, anytime and anywhere. Being proactive helps lessen the impact of emergencies during times of adversity. We urge everyone to be proactive when it comes to disaster preparedness. Your readiness helps you, your loved ones, and in many cases your neighbors, especially those who are especially vulnerable. Resist waiting until an emergency occurs because by then it can be too late to help. 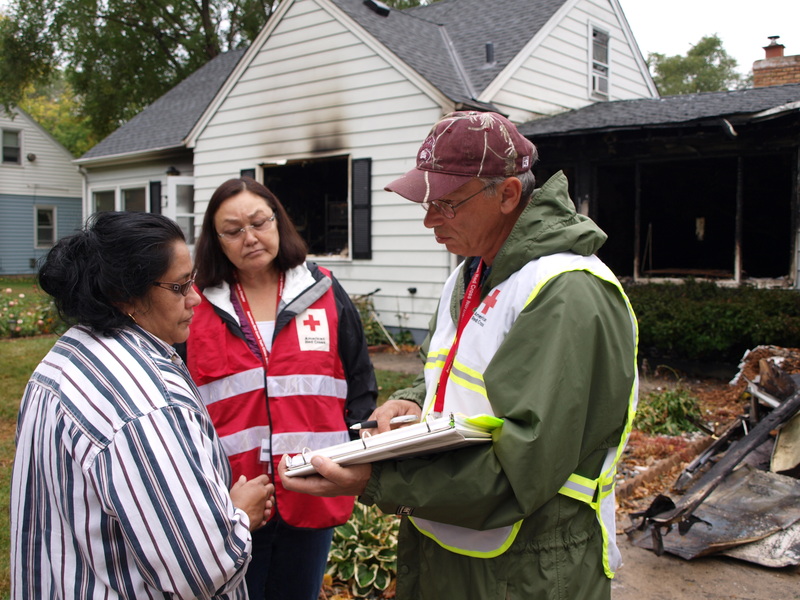 Last year, the Red Cross in Minnesota supported more than 2,500 people with basic comfort and care after local disasters — mostly home fires, which is the most common disaster threat people face across the country. During September, also known in some circles as National Preparedness Month, we encourage everyone to be ready for emergencies, such as home fires. A few important, easy steps are below. Take them and you and your loved ones will be more Red Cross ready when disaster strikes. HOME FIRE SAFETY As part of the national American Red Cross Home Fire Campaign, which aims to reduce deaths and injuries from home fires by as much as 25 percent over the next five years, the Red Cross urges households to develop a fire escape plan; and to install and test smoke alarms. When developing the plan, walk through the home and look at all exits and possible escape routes, including windows. List two ways to get out of every room in case fire blocks one of the paths. Pick a place to meet outside, a safe distance away and – no matter the circumstances – stay out of the home until fire officials say it is okay to go back inside. All households should practice their plan at least twice a year. People should also install smoke alarms on every level of their home, inside bedrooms and outside sleeping areas. They should test the alarms monthly, replace the batteries at least once a year and replace them every ten years. Need help developing your plan? View our charts for single, multiple and high rise dwellings. EMERGENCY PLAN Everyone in the household should help put the emergency plan together so they know what they should do if something occurs. Because everyone may not be together at home when a disaster happens, the plan should include ways to contact one another and two places to meet – one near the home in case of a sudden emergency like a fire, and one outside the neighborhood in case circumstances prevent people from returning home. The plan should also identify an emergency contact person from outside the area in case local telephone lines are overloaded or out of service. Any emergency plan should also include decisions about where to go if ordered to evacuate and what route to take to get there. It’s a good idea to include alternate routes in case roads are closed. Remember planning for family pets. Make sure to include places to stay for them, such as pet-friendly hotels and animal shelters, along the evacuation route. MOBILE APPS Download today the free American Red Cross Emergency App. The app combines more than 35 emergency alerts to help keep you safe, including information about what to do in case of floods, tornadoes and other major disasters. To find it and other Red Cross mobile apps, including Monster Guard, a fun preparedness game for kids, and pet first aid, search for American Red Cross in smartphone app stories or go to redcross.org/apps. For more information on how to prepare for all types of emergencies, visit redcross.org. Volunteer evacuee Maggie Friend talks to a Red Cross volunteer about her mental health. 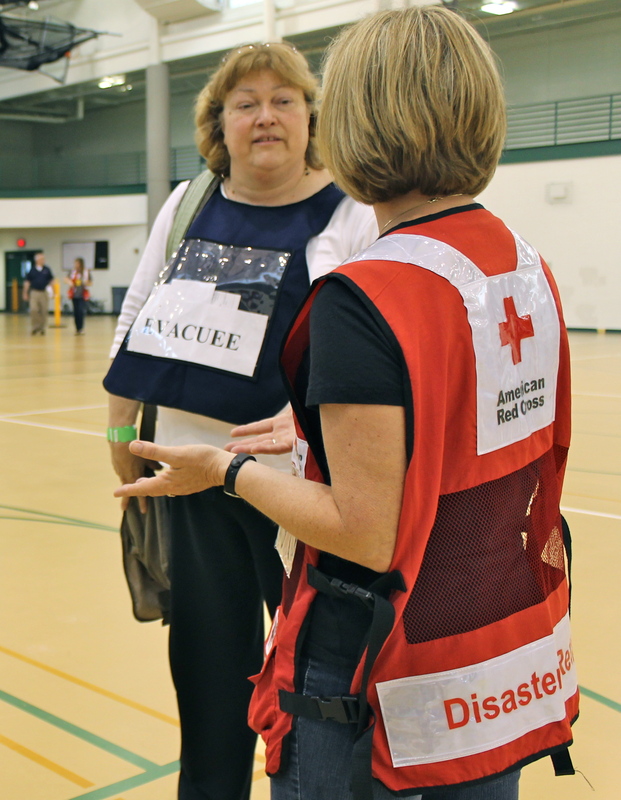 More than 150 volunteers got a firsthand look at how to help disaster survivors during a Radiological Emergency Preparedness (REP) drill on Wednesday, June 10, at Park High School in Cottage Grove, Minnesota. 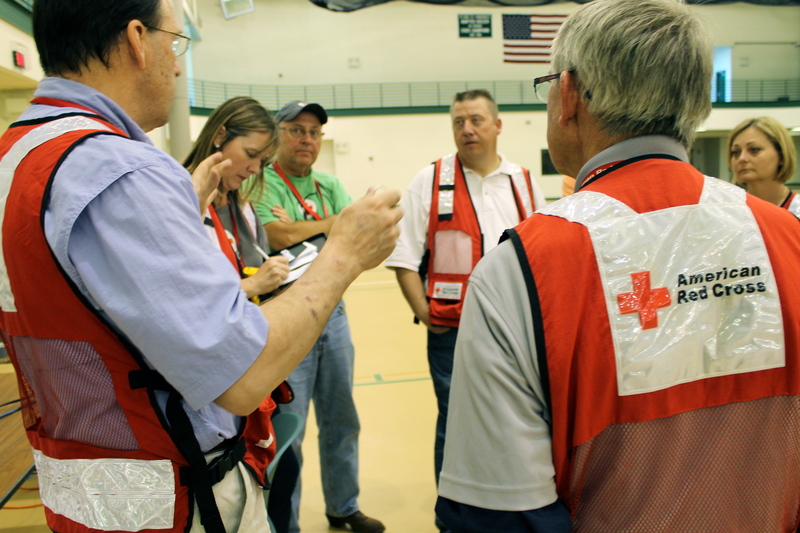 The American Red Cross, along with partner organizations, such as the Salvation Army, the Department of Homeland Security Emergency Management and Washington County, helped manage the annual training drill. Park High School is one of two designated reception centers for evacuees who live within a 10 mile radius of the Prairie Island Nuclear Power Plant in Red Wing. If a nuclear disaster occurs, the center would provide food, shelter and medical services for displaced residents. The Red Cross would be in charge of providing shelter and emotional support, and reconnecting families through Safe and Well. Wednesday’s drill allowed volunteers to practice running their designated stations without the pressure of a real disaster, a concept that Red Cross volunteer Mark Doble calls “controlled chaos.” “This is all about preparation,” said Doble. “Controlled chaos allows us to highlight and address potential problems that might not otherwise have been recognized.” And Doble was right, things got quite chaotic at times. From the distributing dosimeter radiation monitoring badges to all volunteers, to herding anxious individuals through multiple checkpoints and reuniting separated family members, there were a lot of moving parts. Red Cross volunteers recap the event and make suggestions about what can be improved next time. Mastering those details now will make the operation run more smoothly when it counts. It quickly became evident, for instance, that the original plan made no provision for providing water for volunteers. Hallonquist was able to coordinate with the Salvation Army, which agreed to supply water for both Red Cross and Salvation Army volunteers in a real emergency. Other issues that were addressed included how to transport people to the shelter and how to work around the school’s wifi block on Facebook access. The social network might be a distraction during the school day, but it’s a vital form of communication during emergency response. Red Cross mental health volunteers also took advantage of being on location to identify quiet nooks where they could connect with distressed evacuees during the response. The next step is moving from REP drill to exercise on July 22. On this date, the Federal Emergency Management Agency (FEMA) will evaluate state, county, and local partner ability to operate a reception center and provide for displaced residents during a radiological emergency in Minnesota. 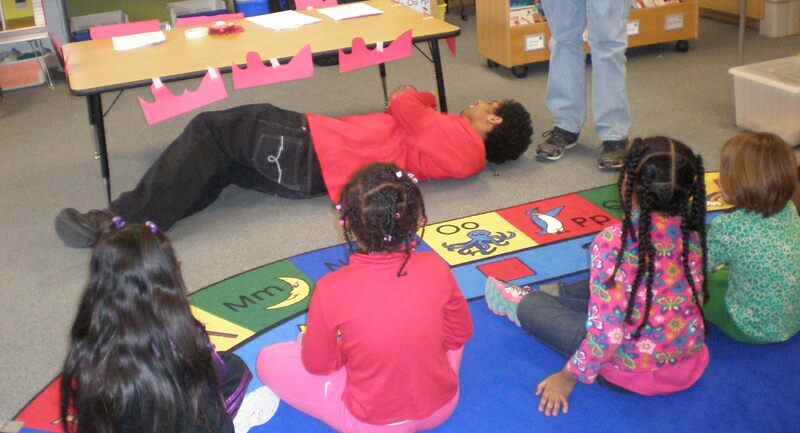 What happens when you put 12 high school students in charge of 50 five- and six-year-olds? You might think it’s a recipe for disaster. But on Thursday, January 31, at Chelsea Heights Elementary School in St. Paul, Minnesota, this match-up was a great recipe for disaster preparedness. The high school students, who are part of the Future Educators Club at Como Park High School in St. Paul, worked with the Red Cross to plan an Elementary Prepare Fair – an opportunity for young kids to learn about calling 9-1-1, preventing basic injuries, tornado safety and other important topics. High school students Dominic and Stephen talked to kindergarteners about fire safety, explaining that fire is very hot and that only adults should handle it. Dominic then taught the kids how to stop, drop, and roll, demonstrating what to do and leading the kids through a practice run. The kids giggled as they watched Dominic roll across the carpet and under a table decorated with red paper flames, then tried it themselves. 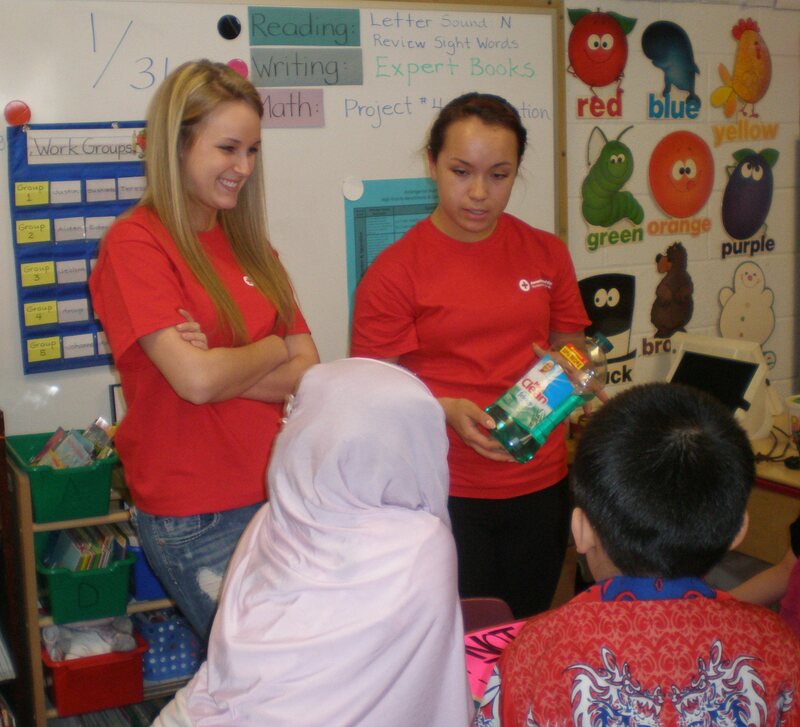 Katie and Nicole taught students about poison safety using a bright poster and props. They showed students that some poisons – like cleaning products or adult medicines – look very similar to safe products, and explained to always ask an adult before eating or drinking something that may be unsafe. 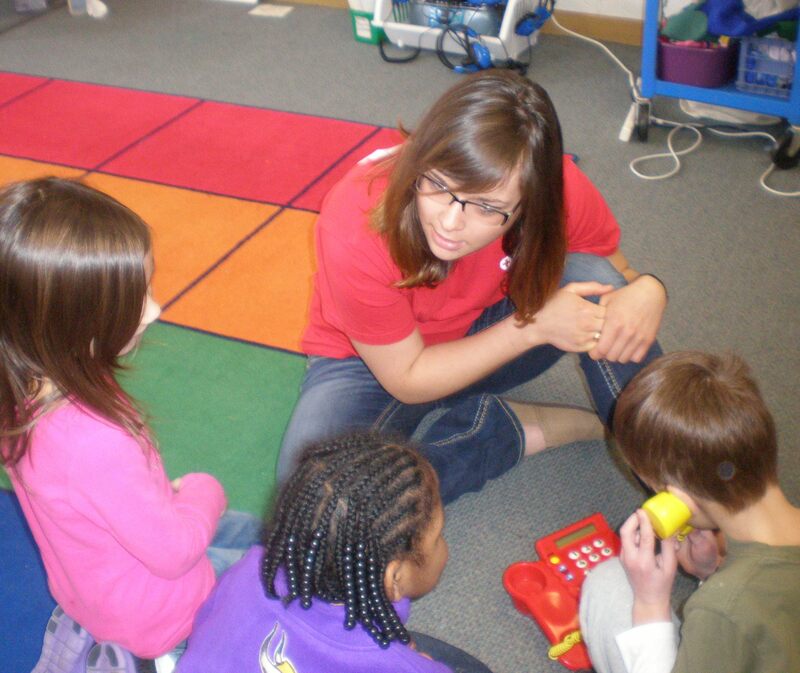 At a nearby table, kids had the opportunity to practice calling 9-1-1 on bright red play phones. “9-1-1, what is your emergency?” the phone prompted. “There’s a fire in my house!” a kindergartener responded. The high school students then asked him his name and address, coaching him on what to tell the 9-1-1 operator. “Great job! High five!” they praised when the pretend call was complete. At the end of the fair, the elementary students received colorful achievement certificates, which were prepared and signed by the Future Educators. The Elementary Prepare Fair is one of several new youth engagement projects for high school students who want to volunteer with the Red Cross, Northern Minnesota Region. Interested groups can contact Volunteer Resources at (612) 871-7676 or arctc.vsvolunteer@redcross.org to learn more and get involved. Thank you to the fantastic Como Park Future Educators for their hard work and enthusiasm. Because of you, fifty young kids are better prepared for disasters and emergencies! Right now the American Red Cross is helping someone recovering from a fire. Across our Northern Minnesota Region, we respond more than 400 fires each year. (And more than 63,000 across the nation annually.) That does not account for home fires that not requiring Red Cross assistance. In September, we experienced one of the busiest fire response months that Red Cross disaster volunteers have seen in quite a while. There were 48 responses region-wide, including a 12-unit apartment fire in Brainerd where all 12 families needed assistance. To date, October has been no-less busy with 14 incidents. Combined, we’ve assisted 329 people with emergency relief after a fire. So, we feel compelled to ask: are you prepared for a fire? Are you ready to not return for hours, days, or maybe never to the home you have now? Take a moment to answer those questions. Then what? Place smoke alarms on every level of your home, including bedrooms. Test smoke alarms once a month and replace batteries at least once a year. For more information visit http://www.redcross.org/homefires. Download the American Red Cross First Aid App to get access to life-saving information on what to do for common, everyday first aid emergencies. The app is available in the Apple App Store and on Google Play for Android. * Statistics provided by the National Fire Protection Association (NFPA).